Peeling paint, stained floors, vine-covered windows, a neglected and wild garden—Tara can’t get the Seattle real estate listing out of her head. Any sane person would see the abandoned property for what it was: a ramshackle half-acre filled with dead grass, blackberry vines, and trouble. 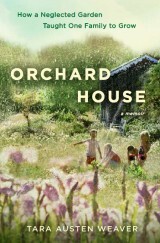 But Tara sees potential and promise—not only for the edible bounty the garden could yield for her family, but for the personal renewal she and her mother might reap along the way. 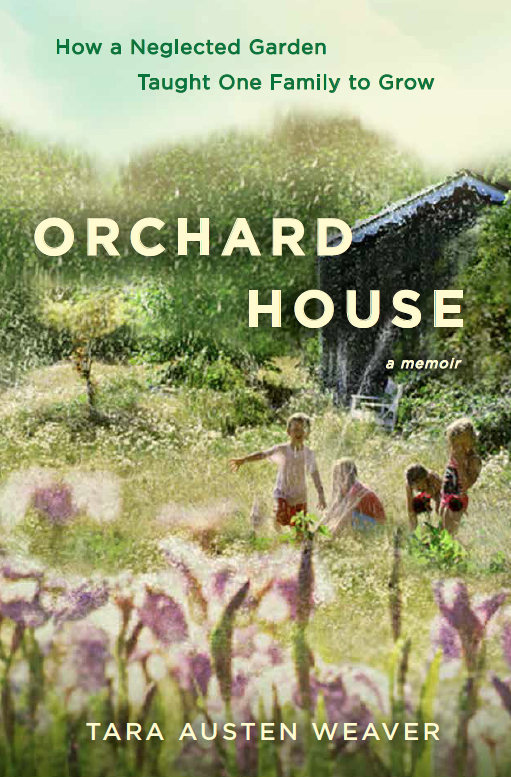 For anyone who has ever planted something they wished would survive—or tried to mend something that seemed forever broken—Orchard House is a tale of healing and growth, set in the most unlikely place. Order from Amazon, Barnes & Noble, Book Larder in Seattle (signed copies! ), Powells, or purchase from an independent bookseller near you through Indie Bound and support reading in your community. 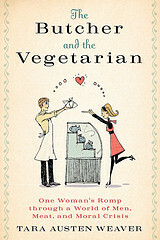 After a vegetarian childhood filled with alfalfa sprouts, Tara finds herself challenged—by ill health that has her doctor ordering her to eat meat, and by a butcher who dares her to cook her way through his meat counter. What’s a Californian vegetarian to do? She pushes the cubes of tofu aside and tries to find her way through a foreign world of meat and men. But how to find good meat, how to cook it, and should we even be eating it in the first place? The questions pile up and it’s tempting to give up and go back to tempeh. At the same time, how does she resist the lure of bacon, of a clubby steakhouse, of cowboys and butchers and men who cook with fire? Omnivore’s dilemma, indeed. The Butcher & The Vegetarian is the rollicking and relevant story of one woman’s quest to reconcile a nontraditional upbringing with carnal desires. Order from Amazon, Barnes & Noble, Powells, IndieBound, or purchase from an independent bookseller near you (yay for independent booksellers!). Travel to kitchens around the world through the pages of this tantalizing collection, from coconut bread in the South Pacific, spicy Thai curries, and a classic French Tarte Tatin. Recipes included. Edited by Michele Anna Jordan and Susan Brady (Travelers’ Tales, 2006). The next best thing to a month in the South Pacific, these stories take you onto white sand beaches, through jungle islands, and into the colorful underwater world. Edited by Sean O’Reilly, James O’Reilly, and Larry Habegger (Travelers’ Tales, 2005). The perfect guidebook for those looking for the artier side of the city by the bay, from room-by-room descriptions of the major museums, commercial galleries, and walking tours of public art. By Marlene Goldman, Christopher Springer, Richard Sterling, and Tara Weaver (Blue Guides, 2005). Join a band of intrepid female travelers as they explore the byways and back roads of Asia, from the Himalayan peaks to the beaches of Thailand and the temples of Japan. Edited by Marybeth Bond (Travelers’ Tales, 2005). Cyclists are funny folks: passionate, obstinate, and often obsessed with life on two wheels. Come join the diehards in the pages of this anthology and experience true bicycle love. Edited by Garth Battista (Breakaway Books, 2004). Escape to the south of France through these stories. Sip wine, explore old stone villages, wander down to the bakery for your daily baguette. It’s the next best thing to being there. Edited by James O’Reilly and Tara Austen Weaver (Travelers’ Tales, 2003). This collection of stories will take you deep into the rolling hills of Tuscany, to drink the wine, eat the olives, and meet the unforgettable characters that populate Italy’s most famous region. Edited by James O’Reilly and Tara Austen Weaver (Travelers’ Tales, 2000). The perfect gift for any traveler: 365 Travel offers a short story, poem, or bit of inspiration from the road, each day of the year. A wonderful way to feed the wanderlust. Edited by Lisa Bach (Travelers’ Tales, 2001). Children—and their parents—can learn about art through this award-winning book and card game. Featuring 28 different works of art by six extraordinary artists: Monet, Degas, Pissarro, Caillebotte, Cassatt, and Morisot. By Wenda O’Reilly, with Tara Austen Weaver (Birdcage Books, 2001). Pilgrimages come in many forms, both personal as well as religious, and take us to all corners of the world. 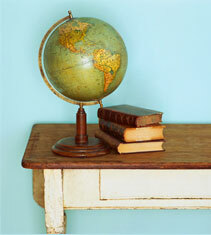 Join these authors as they seek answers near and far, exploring the soulful side of travel. Edited by James and Sean O’Reilly (Travelers’ Tales, 2000).